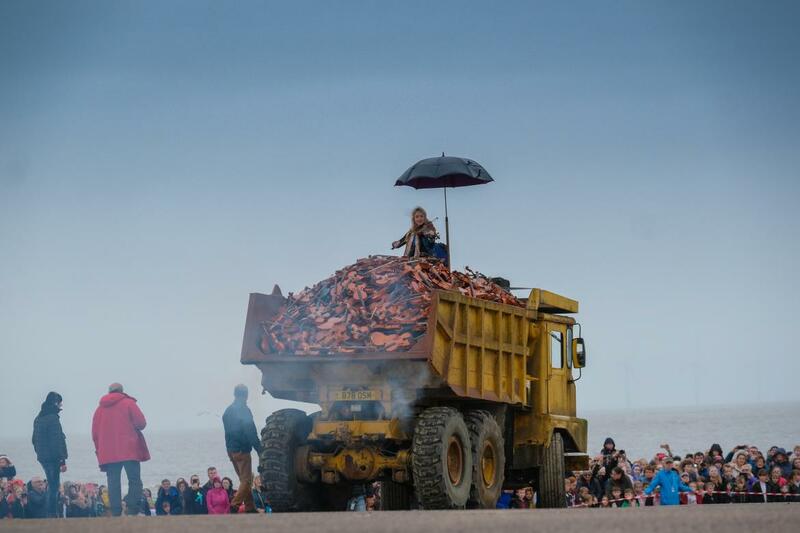 On a drizzly day in October, a lone Giant figure woke had washed up on the beach in New Brighton next to the lighthouse at Fort Perch Rock. 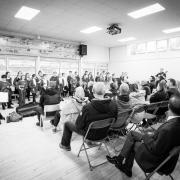 As the sun started to rise, onlookers watched and waited for him to wake from his slumber and gasped as he slowly started to open his eyes and sat up. 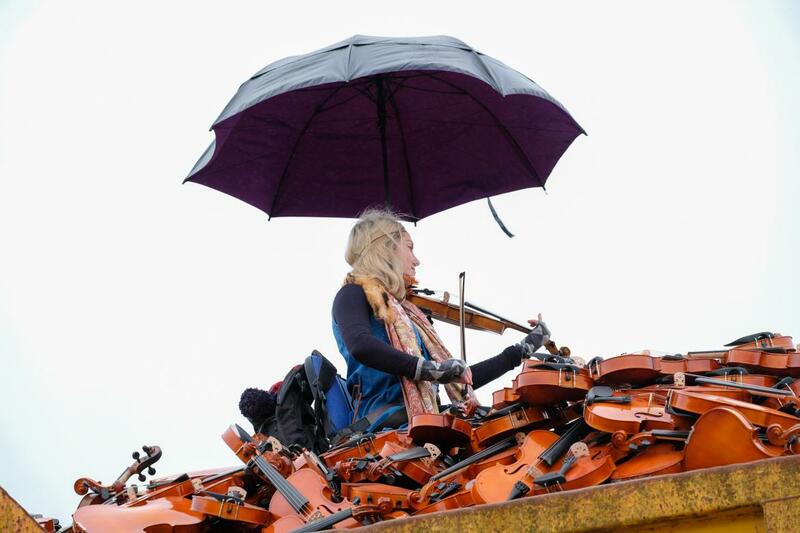 This Giant visitor was serenaded by a lone violinist sat atop a truck filled with violins playing the moving “The leaving of Liverpool” to aptly end his finale visit to the region. 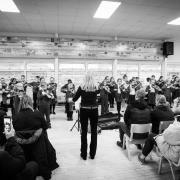 A key part of the story, Jo Pue was the violinist who serenaded the Giant on his journey and provided a soundtrack atop more than 300 violins, donated to the show by residents and businesses locally and from afar. 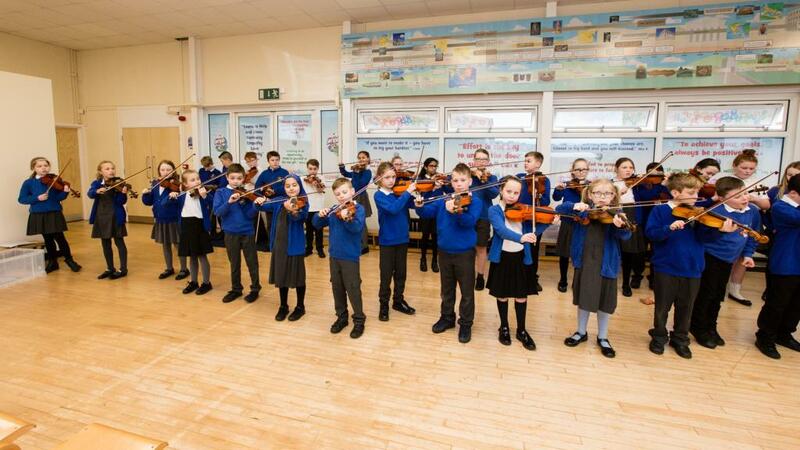 Post event, these violins have formed part of the legacy of the Giant Spectacular event and have made their way to school children across the city region. 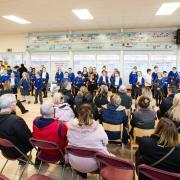 The following schools and community organisations have already received donations. 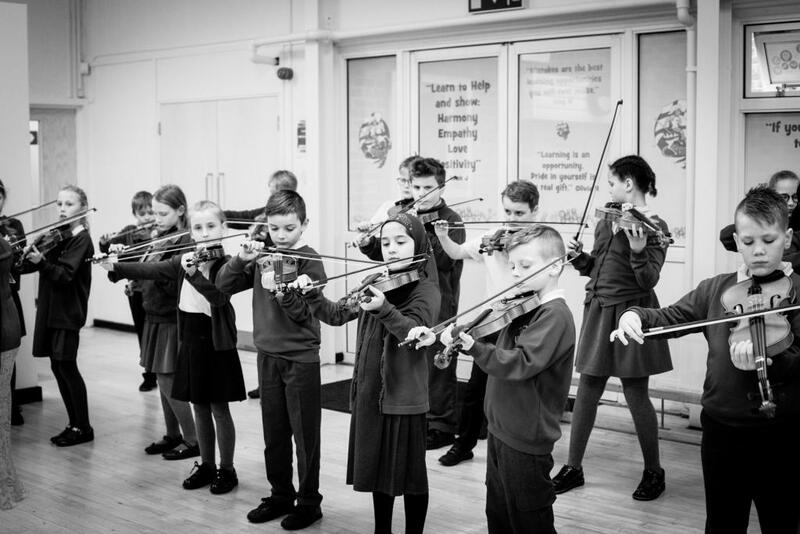 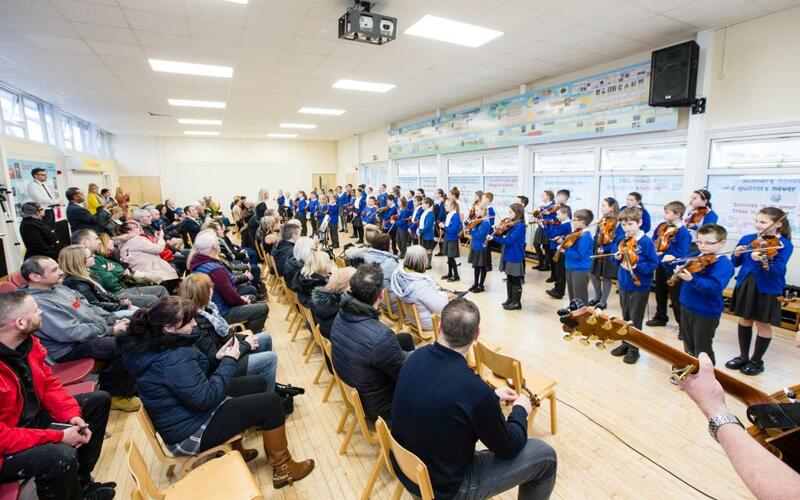 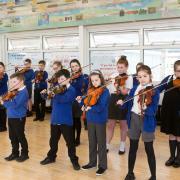 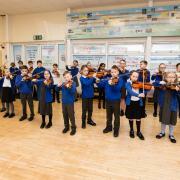 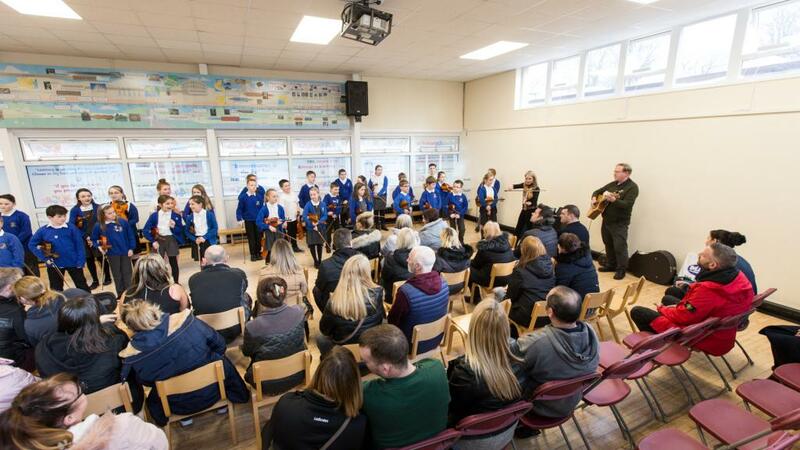 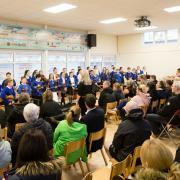 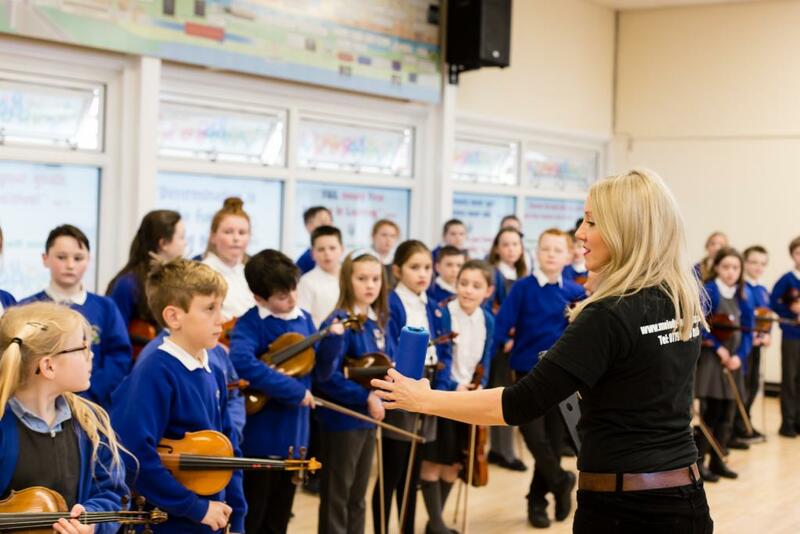 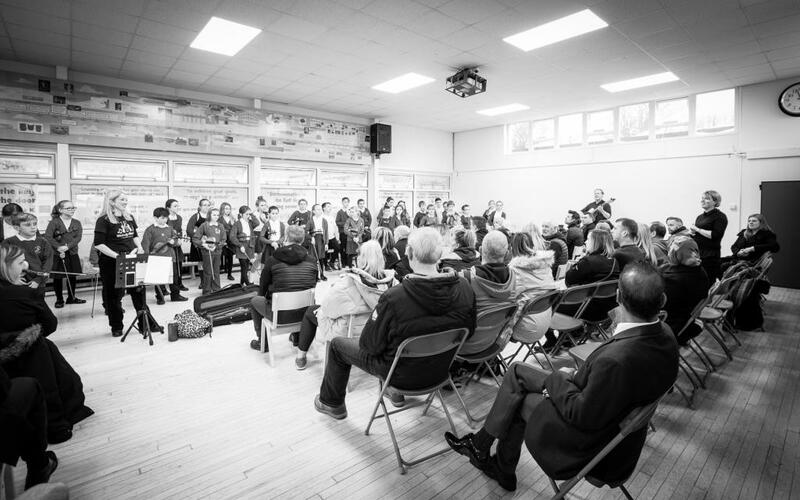 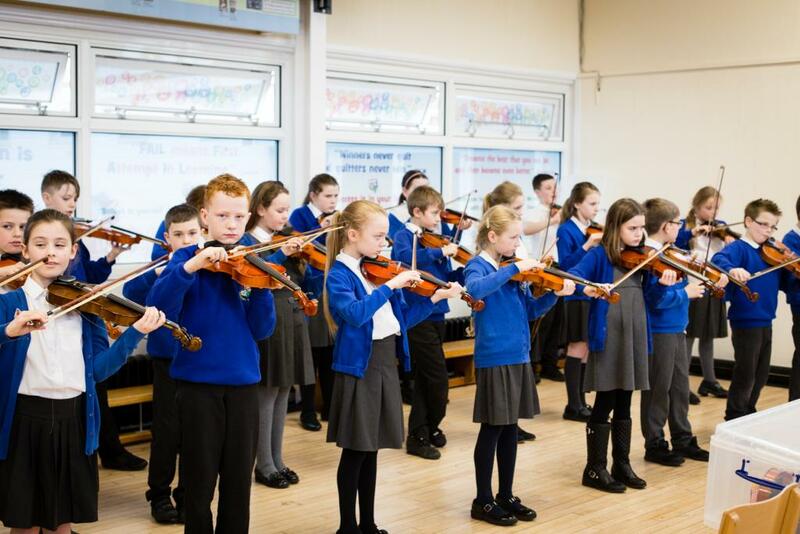 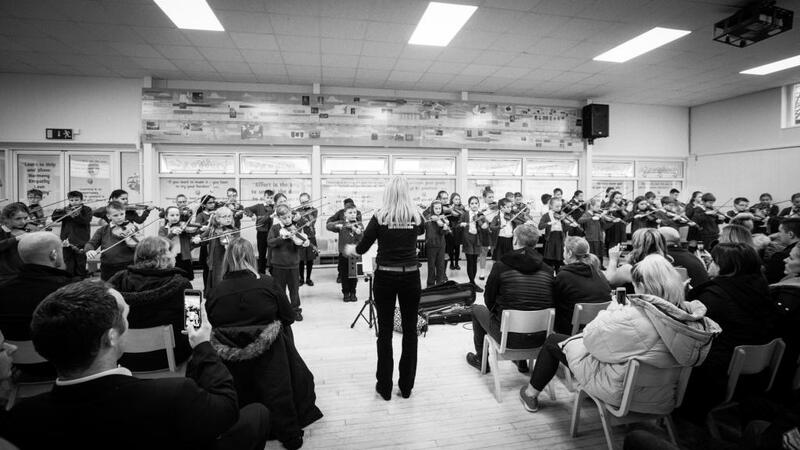 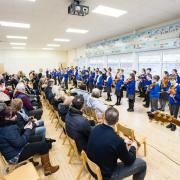 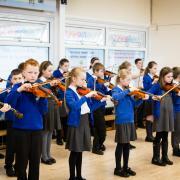 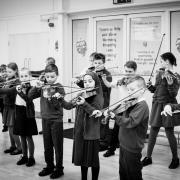 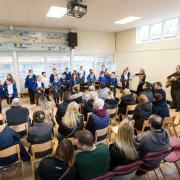 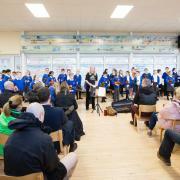 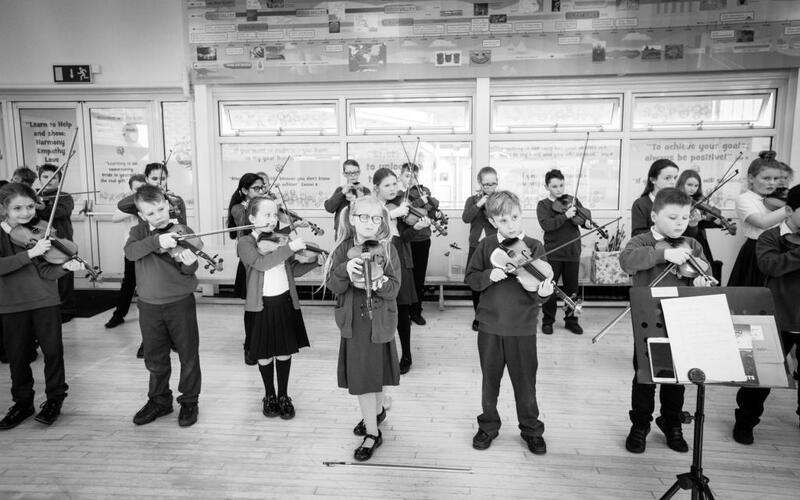 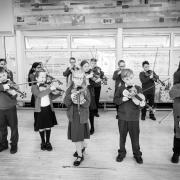 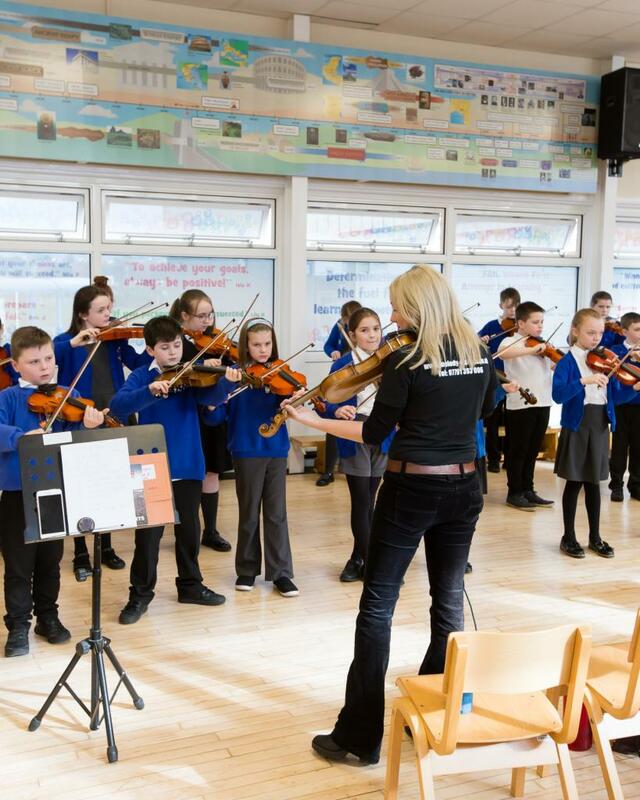 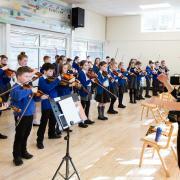 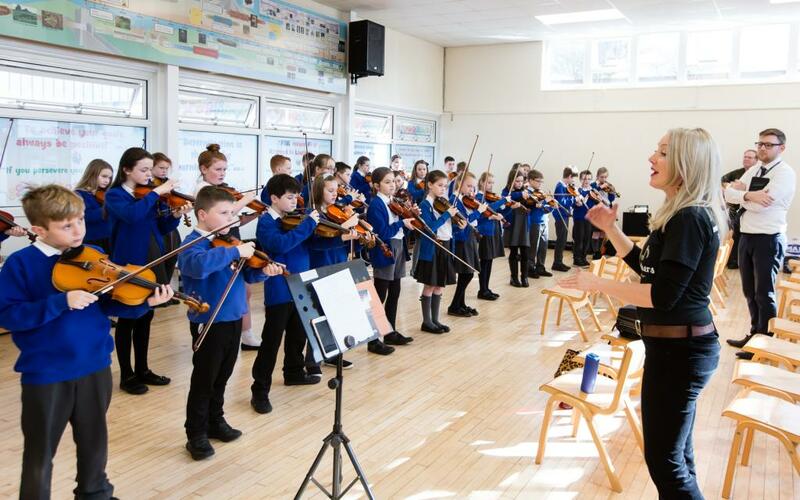 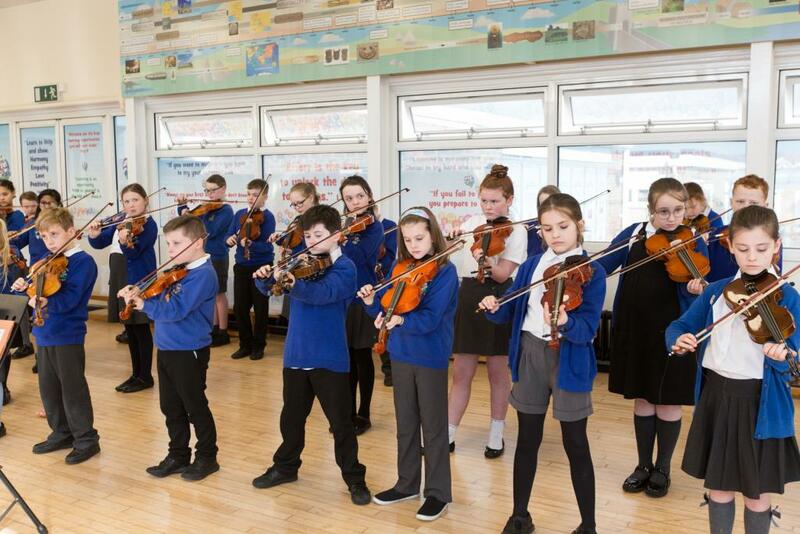 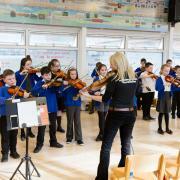 Special Thanks to Overchurch Junior School, Wiral, – to the pupils, caretaker and headteacher Mr Lahive who have helped sort and distribute the violins. 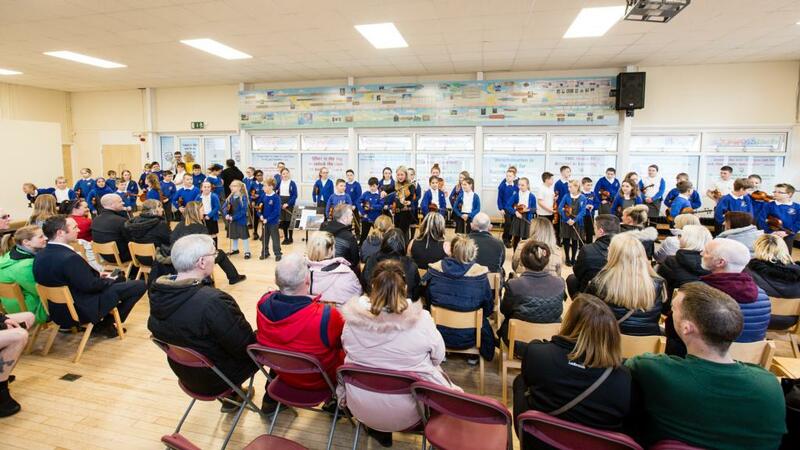 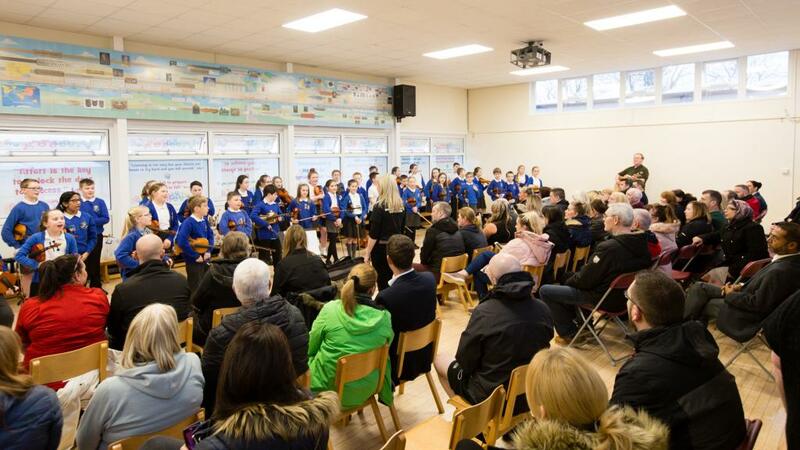 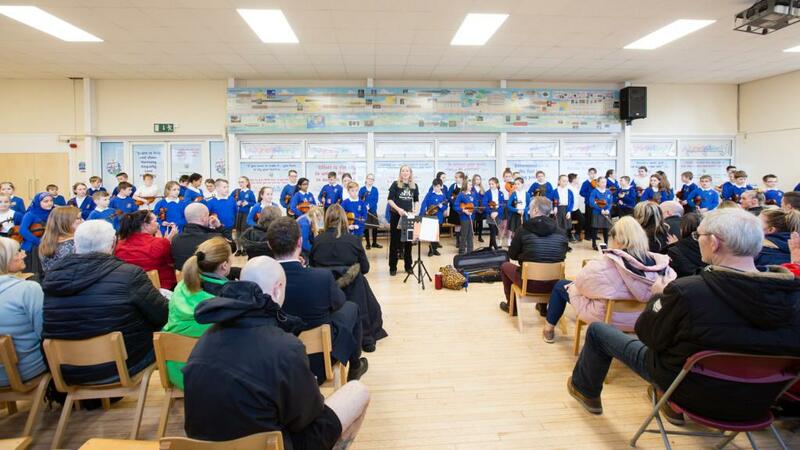 The leaving of Liverpool might have been a fitting song for the Giants leaving their beloved city but they have left a musical legacy that will inspire generations to come, as schools and community groups are attesting too already.